For church organist Matthew Larkin, news he was receiving an honourary doctorate from Thorneloe University came as a surprise. 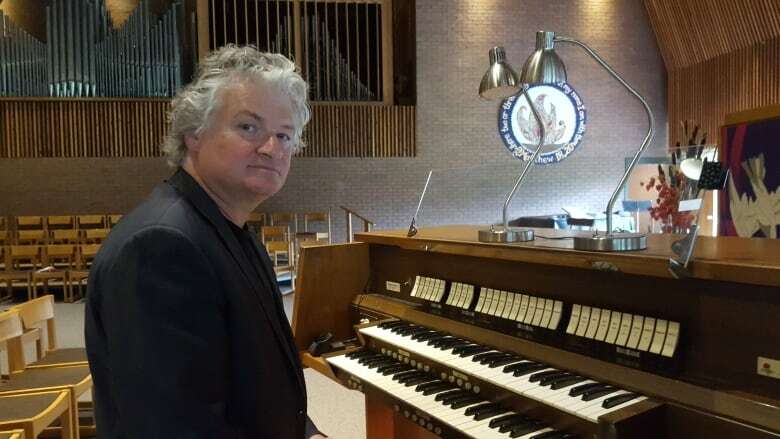 For church organist Matthew Larkin, news he was receiving an honourary doctorate from Thorneloe University in Sudbury, Ont., came as a surprise. The director of St. Thomas's Anglican Church in Toronto was given the honour Friday night for his contribution to Canadian church music. Reflecting on the accolade, Larkin says liturgical music has always been his artistic foundation, and a way to simply immerse himself among like-minded musicians. "There's something special about learning in ensemble, being beside someone learning at the same pace you're learning at," Larkin told CBC's Up North. Despite getting what he calls a late start in music — he was eight years old when he joined a boy's choir — Larkin says he's been fortunate to surround himself with highly skilled senior colleagues. He even says that any aspiring musician should seek out the same kind of mentorship. "If I've been fortunate it stands to reason that anyone can be, if you find yourself surrounded by the right people," Larkin says. Immersing yourself in the music, especially in the company of others, can also be an exercise in character development. "As an individual we sometimes fall into a bit of self-defeat when we start thinking we won't be able to accomplish certain things. I'm never going to be playing organ at a professional level. Or I'll never sing well enough to be on stage. Or play the trumpet well enough to be in a band," Larkin says. "To overcome those is really important."